2. 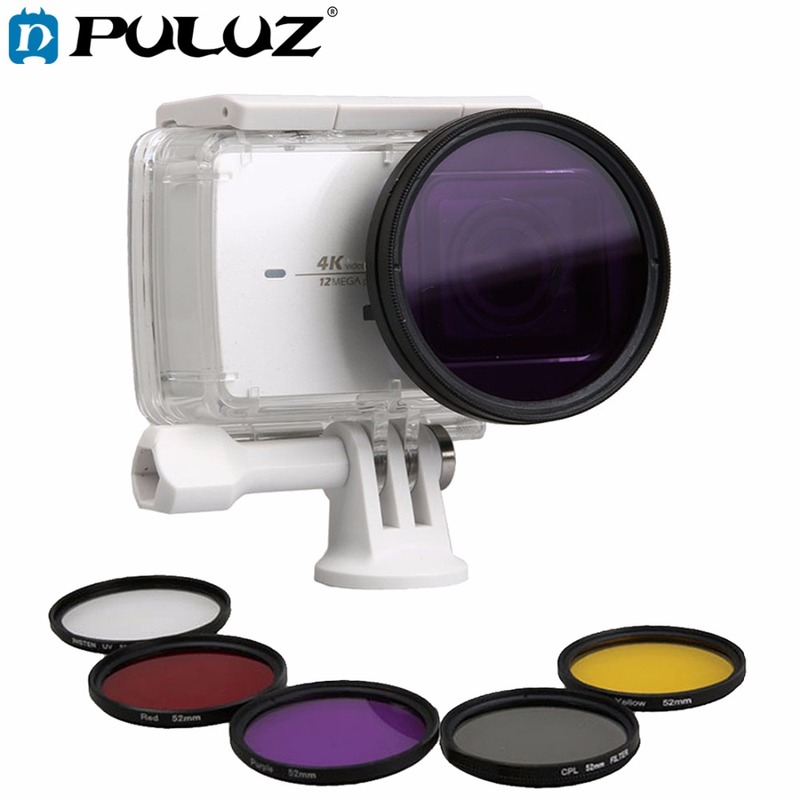 7 in 1 big pack: lens cap + 52mm lens filter + CPL filter + UV filter + red + yellow + purple in one pack. 3. Applies to Xiaomi Xiaoyi Yi II sport action camera. 4. The filter could limit the reflection from non-metal surface such as water and glass windows. Using the filters, the colors shall become brighter and clearer and the contrast shall be strengthened.